Sándor Goldberger (Joszef Peter) was born in the Ukraine in 1894. He moved to Debrecen where he studied law. He remained in Hungary and became a minor official in the Soviet Government of Bela Kun that was briefly established in 1919. Adopting the name Joszef Peter (other names used included Alexander Stevens and Isidore Boorstein) he moved to the United States where he associated with Earl Browder and other members of the American Communist Party. According to Whittaker Chambers he established a spy network in New York City. 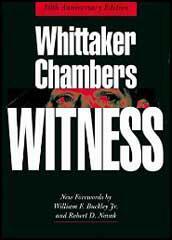 Chambers explained in his book, Witness (1952): "In addition, I had myself, during my entire six years in the Soviet underground, been the official secret contact man between a succession of Soviet apparatuses and the Communist Party, U.S.A. Both the open and the underground sections of the party were under orders to carry out, so far as they were able, any instructions I might give them in the name of the Soviet apparatuses. It is sometimes said that the Communist penetration of the United States Government, while sensational, was after all comparatively small. The comparison is with the thousands of loyal Government employees. I think this a poor yardstick. Effectiveness, not numbers, is a more accurate measure of the infiltration. But even if numbers are the yardstick, I am inclined to believe, from what I saw of the operation through my relatively small peep-hole, that the Communist penetration was numerically great. J. Peters found perhaps the best standard of comparison." In 1934 Joszef Peter arranged for Chambers to move to Washington where he helped establish the Ware Discussion Group. Members included Harold Ware, the son of Ella Reeve Bloor, and a consultant to the AAA. He established a "discussion group" that included Alger Hiss, Nathaniel Weyl, Laurence Duggan, Harry Dexter White, Nathan Witt, Marion Bachrach, Julian Wadleigh, Henry H. Collins, Lee Pressman and Victor Perlo. Susan Jacoby, the author of Alger Hiss and the Battle for History (2009), has pointed out: "Hiss's Washington journey from the AAA, one of the most innovative agencies established at the outset of the New Deal, to the State Department, a bastion of traditionalism in spite of its New Deal component, could have been nothing more than the rising trajectory of a committed careerist. 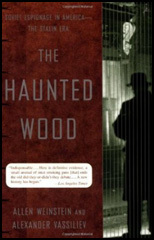 But it was also a trajectory well suited to the aims of Soviet espionage agents in the United States, who hoped to penetrate the more traditional government agencies, like the State, War, and Treasury Departments, with young New Dealers sympathetic to the Soviet Union (whether or not they were actually members of the Party). Chambers, among others, would testify that the eventual penetration of the government was the ultimate aim of a group initially overseen in Washington by Hal Ware, a Communist and the son of Mother Bloor... When members did succeed in moving up the government ladder, they were supposed to separate from the Ware organization, which was well known for its Marxist participants. Chambers was dispatched from New York by underground Party superiors to supervise and coordinate the transmission of information and to ride herd on underground Communists - Hiss among them - with government jobs." Whittaker Chambers got to know him well during this period: "The first time I met Peter in Washington, we walked from the Union Station to a downtown restaurant. In New York, Peter's manner had always been that of a minor commissar - a little more human than the breed, for he had a sense of humor - but reserved, innately distrustful, secretive. In Washington, he was like a king returned to his kingdom - suddenly gay and expansive. He enlarged on the party's organizational and human resources in Washington.... he took an almost parental pride in Alger Hiss." Peter told Chambers: "Even in Germany under the Weimar Republic, the party did not have what we have here." Whittaker Chambers later recalled: "The Washington apparatus to which I was attached led its own secret existence. But through me, and through others, it maintained direct and helpful connections with two underground apparatuses of the American Communist Party in Washington. One of these was the so-called Ware group, which takes its name from Harold Ware, the American Communist who was active in organizing it. In addition to the four members of this group (including himself) whom Lee Pressman has named under oath, there must have been some sixty or seventy others, though Pressman did not necessarily know them all; neither did I. All were dues-paying members of the Communist Party. Nearly all were employed in the United States Government, some in rather high positions, notably in the Department of Agriculture, the Department of Justice, the Department of the Interior, the National Labor Relations Board, the Agricultural Adjustment Administration, the Railroad Retirement Board, the National Research Project - and others." Hede Massing also worked with Joszef Peter. Gerhart Eisler had suggested that Peter was the man to obtained false passports for agents: "And so at an early breakfast in Childs restaurant on 23rd Street and Fifth Avenue and a few days later he introduced me to J. Peters, a dark, heavy-set Hungarian with a clipped mustache whom I had known until then only by reputation. He was amiable and soft-spoken.... It was the same Peters who was informed by Whittaker Chambers of my solicitation of Noel Field, the same Peters who had been informed by Chambers about my meeting with Hiss. But he gave no sign of his knowledge." Chambers left the ACP and in August 1939, Isaac Don Levine arranged for him to meet Adolf Berle, one of the top aides to President Franklin D. Roosevelt. He later wrote in Witness: "The Berles were having cocktails. It was my first glimpse of that somewhat beetle-like man with the mild, intelligent eyes (at Harvard his phenomenal memory had made him a child prodigy). He asked the inevitable question: If I were responsible for the funny words in Time. I said no. Then he asked, with a touch of crossness, if I were responsible for Time's rough handling of him. I was not aware that Time had handled him roughly. At supper, Mrs. Berle took swift stock of the two strange guests who had thus appeared so oddly at her board, and graciously bounced the conversational ball. She found that we shared a common interest in gardening. I learned that the Berles imported their flower seeds from England and that Mrs. Berle had even been able to grow the wild cardinal flower from seed. I glanced at my hosts and at Levine, thinking of the one cardinal flower that grew in the running brook in my boyhood. But I was also thinking that it would take more than modulated voices, graciousness and candle-light to save a world that prized those things." After dinner Chambers told Berle about Joszef Peter and other NKVD agents working for the government: "Around midnight, we went into the house. What we said there is not in question because Berle took it in the form of penciled notes. Just inside the front door, he sat at a little desk or table with a telephone on it and while I talked he wrote, abbreviating swiftly as he went along. These notes did not cover the entire conversation on the lawn. They were what we recapitulated quickly at a late hour after a good many drinks. I assumed that they were an exploratory skeleton on which further conversations and investigation would be based." Berle, who was in effect the president's Director of Homeland Security, raised the issue with Roosevelt, "who profanely dismissed it as nonsense." In 1943 the FBI received a copy of Berle's memorandum. Whittaker Chambers was interviewed by the FBI but J. Edgar Hoover concluded, after being briefed on the interview, that Chambers had little specific information. However, this information was sent to the State Department security officials. One of them, Raymond Murphy, interviewed Chambers in March 1945 about these claims. Chambers now gave full details of his spying activities. A report was sent to the FBI and in May, 1945, they had another meeting with Chambers. On 3rd August, 1948, Whittaker Chambers appeared before the House of Un-American Activities Committee. He testified that he had been "a member of the Communist Party and a paid functionary of that party" but left after the signing of the Nazi-Soviet Pact in August 1939. He explained how the Ware Group's "original purpose" was "not primarily espionage," but "the Communist infiltration of the American government." Chambers claimed his network of spies had been organised by Joszef Peter. Later that month, Peter appeared under subpoena before HUAC but did not cooperate. He invoked the Fifth Amendment and refused to answer questions. On 8th May, 1949, Peter left for Hungary, which was at that time under the control of the communists. The second trial of Alger Hiss began in November 1949. One of the main witnesses against Hiss in the second trial was Hede Massing. She also provided evidence against Peter. In 1952 Nathaniel Weyl also named Joszef Peter as a Soviet spy. Joszef Peter died in 1990. I was to organize and head an entirely new apparatus within the American Government. It was to be made up of men as highly placed as I could recruit. But it was to be wholly a reserve apparatus. Its members were not to engage in active espionage. They were to become active only in event of war (Bykov did not say war between the Soviet Union and the United States), when the other apparatuses might be disabled or destroyed. The Soviet espionage apparatus in Washington also maintained constant contact with the national underground of the American Communist Party in the person of its chief. He was a Hungarian Communist who had been a minor official in the Hungarian Soviet Government of Bela Kun. He was in the United States illegally and was known variously as J. Peters, Alexander Stevens, Isidore Boorstein, Mr. Silver, etc. His real name was Alexander Goldberger and he had studied law at the university of Debrecen in Hungary. In addition, I had myself, during my entire six years in the Soviet underground, been the official secret contact man between a succession of Soviet apparatuses and the Communist Party, U.S.A. Both the open and the underground sections of the party were under orders to carry out, so far as they were able, any instructions I might give them in the name of the Soviet apparatuses. It is sometimes said that the Communist penetration of the United States Government, while sensational, was after all comparatively small. The comparison is with the thousands of loyal Government employes. I think this a poor yardstick. Effectiveness, not numbers, is a more accurate measure of the infiltration. But even if numbers are the yardstick, I am inclined to believe, from what I saw of the operation through my relatively small peep-hole, that the Communist penetration was numerically great. J. Peter found perhaps the best standard of comparison. The first time I met Peter in Washington, we walked from the Union Station to a downtown restaurant. In New York, Peter's manner had always been that of a minor commissar - a little more human than the breed, for he had a sense of humor - but reserved, innately distrustful, secretive. In Washington, he was like a king returned to his kingdom - suddenly gay and expansive. He enlarged on the party's organizational and human resources in Washington, mentioning, among others, the man whose name he always pronounced "Awl-jur"-with a kind of drawling pleasure, for he took an almost parental pride in Alger Hiss. Then, with a little inclusive wave of his pudgy hand, he summed up. "Even in Germany under the Weimar Republic," said Peter, "the party did not have what we have here."